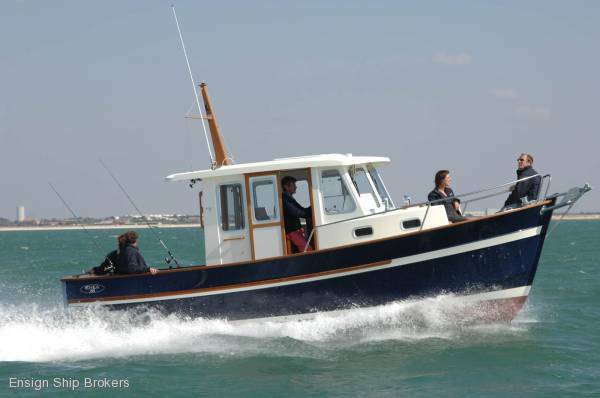 A traditional craft for fishing and cruising in comfort and safety. Fishing of all types can be enjoyed in perfect safety, thanks to very deep cockpit, walkaround deck layout, and an emergency tiller. The trolling valve and dual-control options make trolling a dream. The 70 cm high bulwarks include two built-in fishing-rod holders. 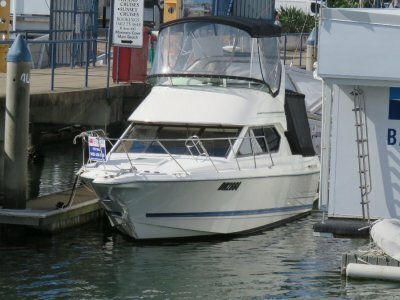 The driving position has a sliding door to starboard for easy deck access. In the huge, deep 5.5 m2 cockpit, the large engine cover gives access to side stowage compartments as well as the engine itself. A second stern locker has room to stow all the equipment you’ll need. The cockpit’s two folding bench seats provide comfortable seating for 6–8 people. 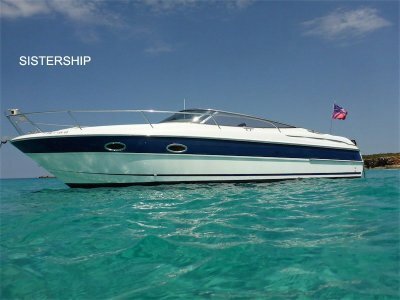 The hull, designed by architects Joubert-Nivelt, offers excellent handling in choppy seas, excellent course-holding, and terrific stability - all with a top speed of 25 knots. 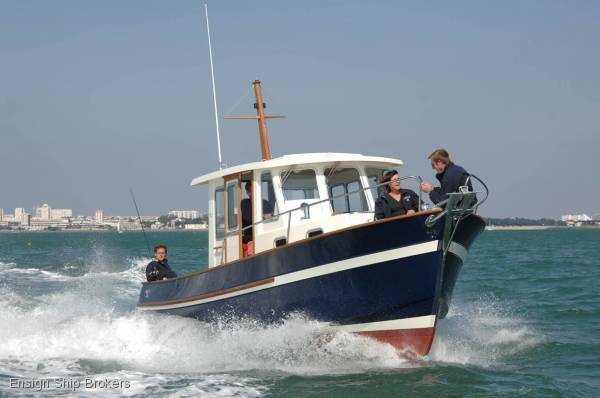 Its 3 m beam means the RHEA 28 can offers great comfort and facilities for a craft of its size. 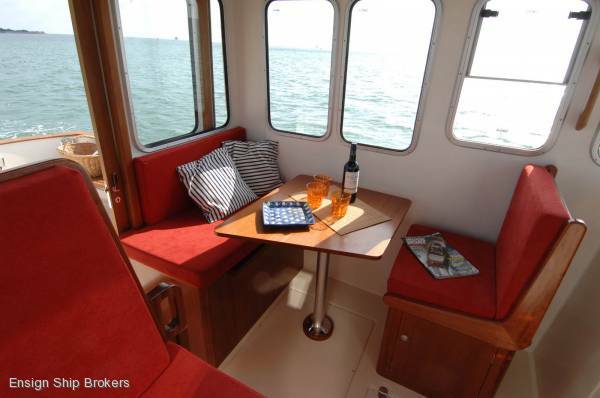 The generous saloon with equipped galley, forward cabin with separate head, and huge cockpit make short-haul cruising an enjoyable reality. The accommodation has been designed to be spacious and practical. 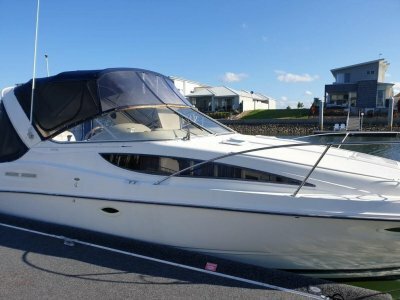 The forward cabin has a V-shaped double berth, lots of stowage, and a separate head with sea toilet and sewage holding tank. 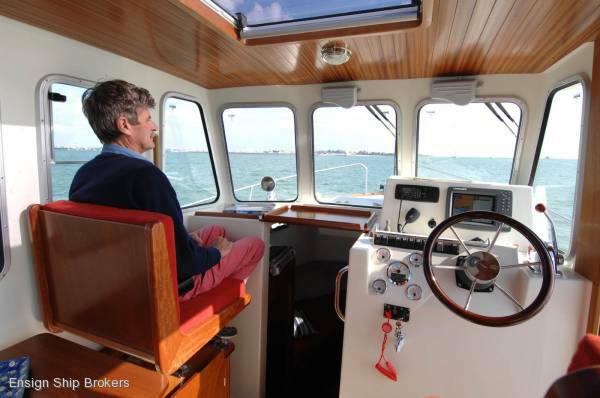 The wheelhouse saloon has two banquette seats, one of which swings to make a forward-facing co-helmsman’s seat. 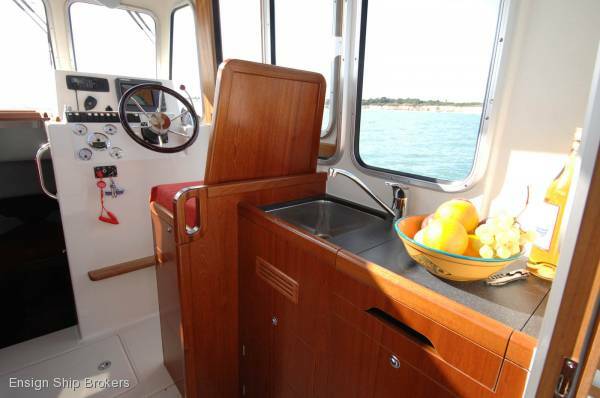 The galley includes a single-burner cooker and a sink with water pumped from a 100-litre fresh-water tank. 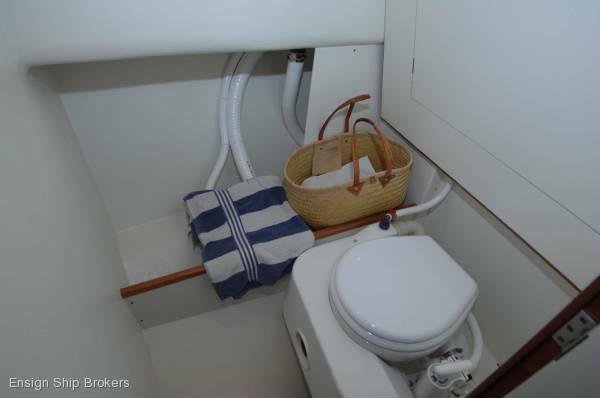 Cupboards, drawers and shelves, and the optional refrigerator make it feasible to live aboard when cruising. 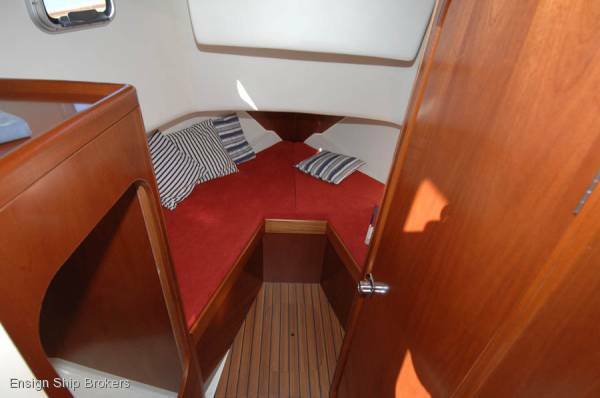 The sliding doors aft and to starboard make for efficient ventilation and good access. 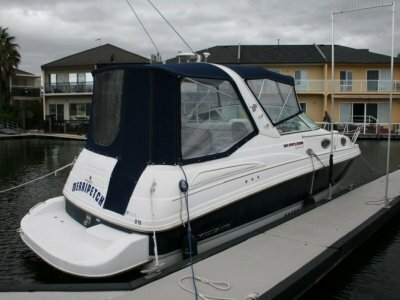 A large optional sliding roof hatch will bring additional light into the wheelhouse, as well as increased ventilation. The driving position groups together all the key functions: engine instrumentation, electrical distribution panel, and instrument console.